UPDATED 1/11/12 to add a copy of the printable! 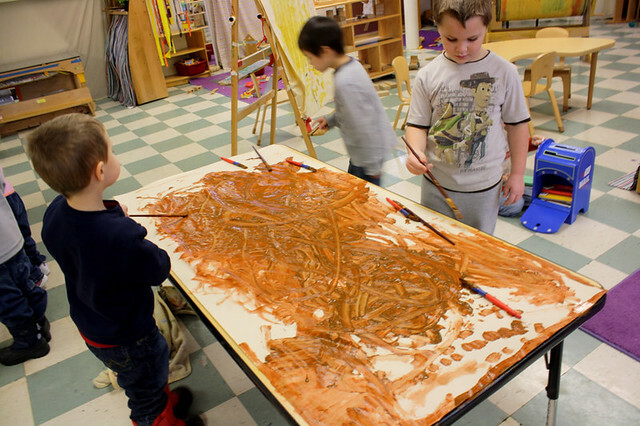 we made collage faces again this year starting with group painting a paper covered table. 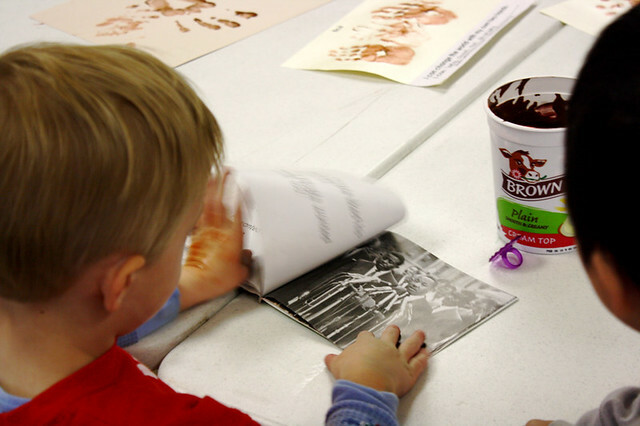 we stepped over to another table to make hand prints (and sneak a moment with the book). 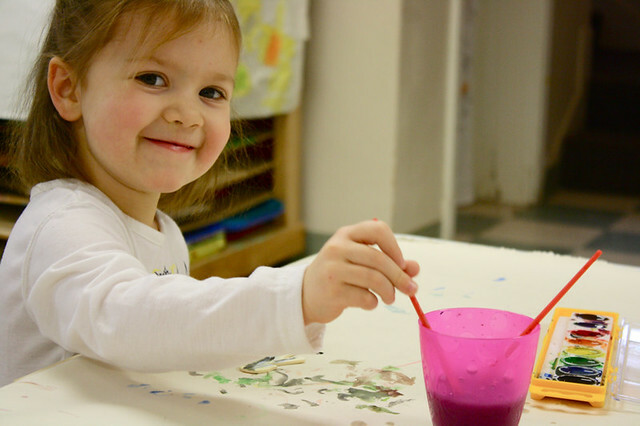 we ended the week with watercolor painting. 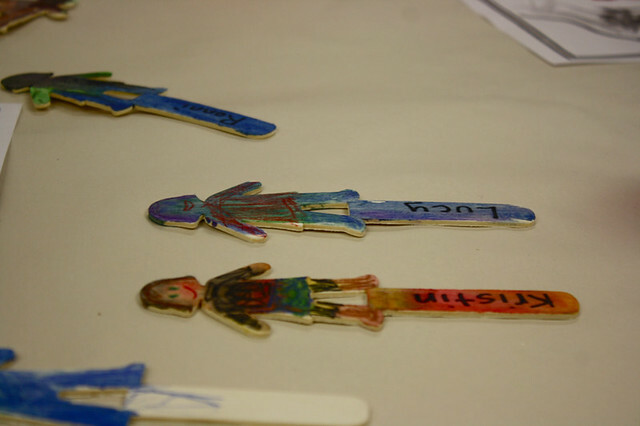 i had some of these little people sticks that seemed good for this week. how honored i am to have 68 little hands in my life each week. 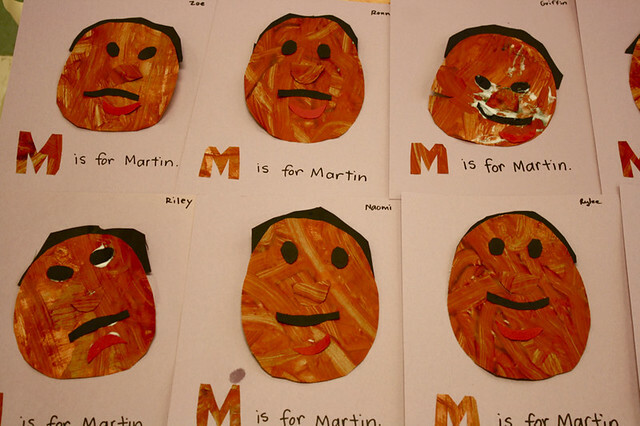 m is for (happy birthday,) dr. martin luther king! Brown is Beautiful is the first book in the Rise Little Kemet series. 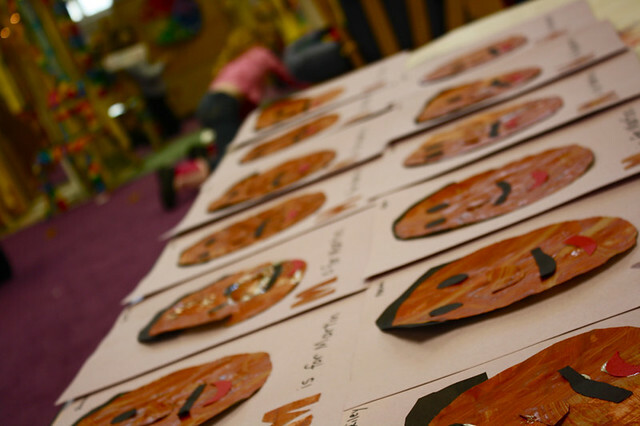 This book explores the different shades of brown typically found in ethnic families. Colorism is a topic that many ethnic children experience and understand as early as three years old! Oftentimes the experience goes without being addressed leaving children subject to re-define themselves through European standards of beauty and ultimately lowered self-esteem. Brown is Beautiful celebrates the different shades of melanoid people and helps families open up a healthy discussion of Colorism between parent and child. It is highly insensitive and inappropriate for you to ask your class what other “things” are brown including poop! It makes me sad for your students that humans were equated with inanimate objects, food and animals. Please, stop doing this lesson! thank you for sharing. 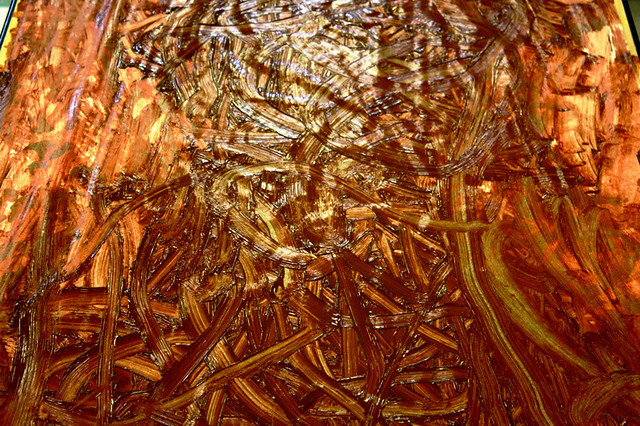 my heart opens to you words and i easily commit to changing my approach. even though i am confident that my intent is only to increase love of self and others, i absolutely believe that good intentions don’t always fall that way. so thank you. and i’m choosing to edit this post as well. 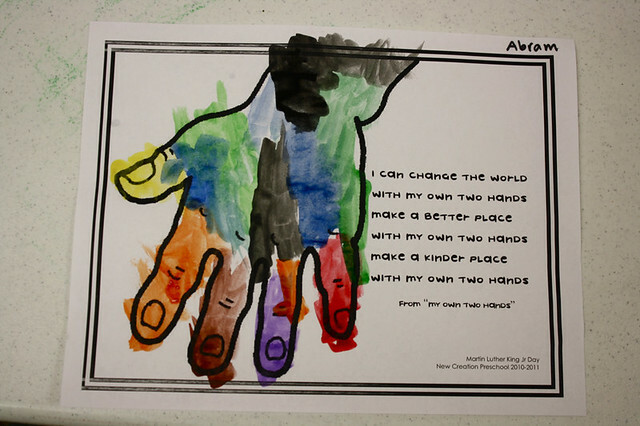 May I please have a copy of this adorable poem about My Two Hands? Who is the author of Brown is Beautiful? I’m having trouble finding a copy. Thanks for all of your great ideas-we’ve had a blast! me too! I would love to fin this book. This is superb! I just tweeted. Thanks so much! Love all of the ideas! 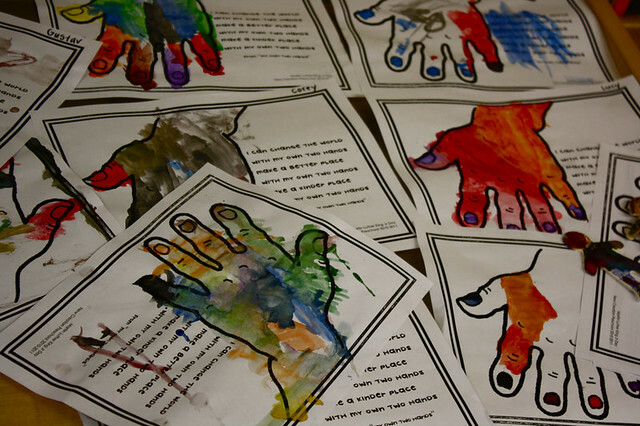 What is on the manilla paper they students are stamping their hands on? 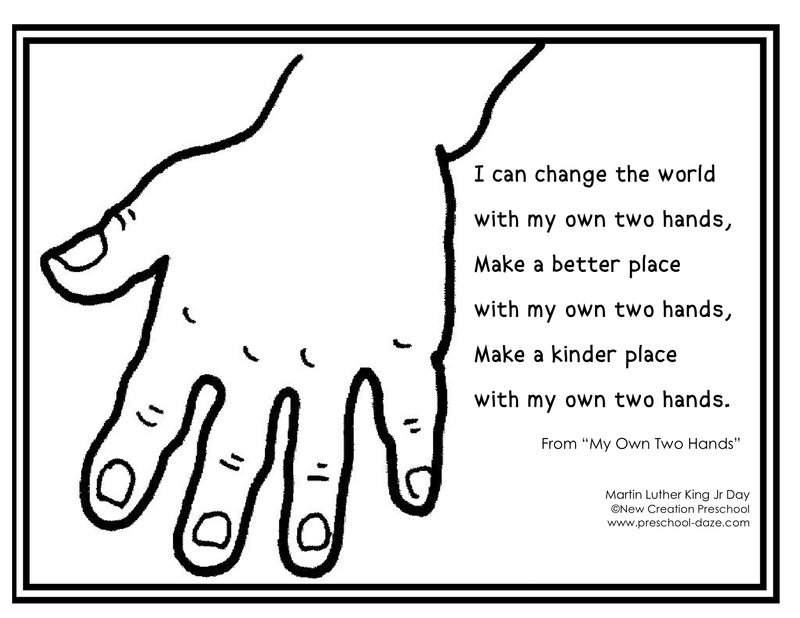 “I can change the world with my own two hands. 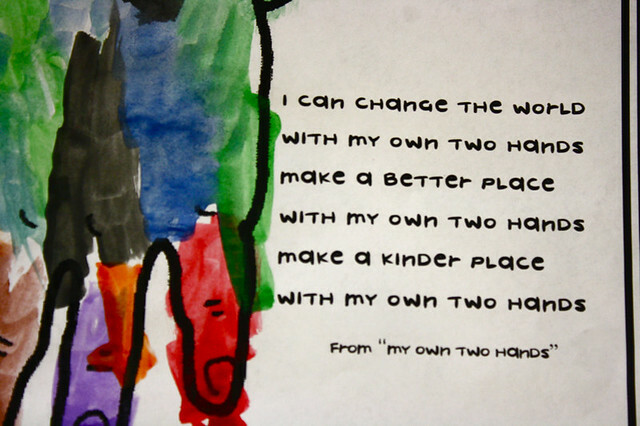 I also love the “my own two hands” project. It would be perfect for a community day in our K5 this Friday. Could you make a copy available? I found your post through another site. I love your ideas! I’ve pinned them up on our Pinterest Board http://pinterest.com/educatorsspinon/. Can’t wait to make them with my little ones. THANKS! I also love this Song/Printable! Is there any way to get a copy as well?! 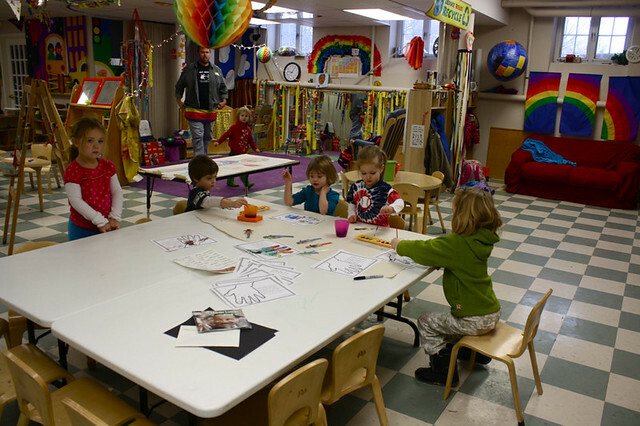 I’ve looked around on the Preschool Daze site and this is the only place I’ve found it. Thank you so much! I would love to use it with my PSCD students! great ideas! is there anyway to get an e-copy of “my own two hands? thanks! Fantastic site! 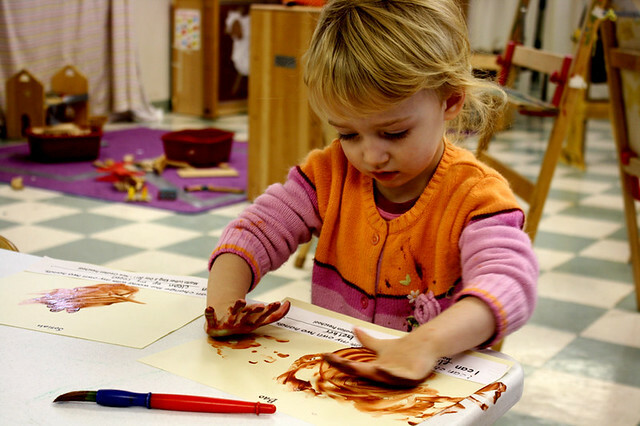 Thanks for posting and sharing with other early childhood teachers. LOVE your site! Thanks for posting such great work from your school, teachers, and children. I just love this! And this song- thanks for sharing. I am swiping this for Earth Day. I would also like a copy of the printable with the hand for painting.